Now that you’ve had a drink (or three) at WPH’s new concept bar Swizzle, allow us to formally introduce the man behind all those delicious cocktails you tried at the opening – Danilo “Dacha” Bozovic. 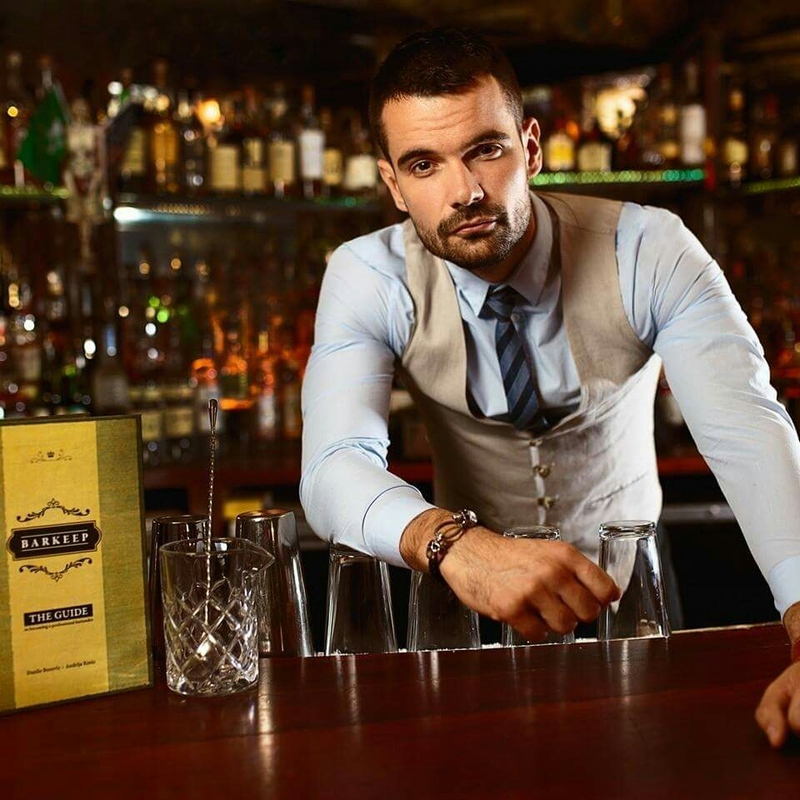 Previously the principal bartender at Employees Only NYC and Macao Trading Co., and the author of “Barkeep: The Guide to Becoming a Professional Bartender,” Bozovic brings his vast array of knowledge, impeccable taste and attention to detail to Miami. We caught up with Bozovic on the art of bartending, the history, and of course, the swizzle. I was young. I was 18-19 years old and I just wanted to work after high school, but I was jumping from job to job. Nothing really held me; nothing really clicked. But when I got behind the bar it just stuck. I just wanted to learn and study, and get better, and improve my bartending skills. And you know, now I've been in the business for 12 years. It's definitely a big passion. Talk to me about what your doing with Swizzle. How did it start? I was always fond of swizzles and always fond of bar techniques - think Jerry Thomas and the Blue Blazer, his flame cocktail that’s just beautiful to watch being made (see it here). So when you “flair,” there’s a certain amount of attraction. The same goes for swizzling with a swizzle stick. When I came down to Miami, the climate made sense for a swizzle bar. Actually, I was surprised that there weren't any here. And then when I saw the hotel and the space, it just came together naturally. It all made sense. I wanted to push the Swizzle as the accent of the bar. So I extended the rum selection because the swizzle’s a native Caribbean drink and it's rum-based. But we also switched it up. We got funky and played with mezcal and cachaça and pisco and vodka. We did it all. There's a swizzle for each spirit, which is great, and obviously the classic swizzle. Swizzles look like fun drinks to make. Are they? Oh yes they are. It's a fun drink. It's a complex drink. It requires your presence. Any cocktail technique - whether it’s stirring, shaking, blending, or swizzling, definitely requires your presence. You don't want to over-dilute it and it's so easy to over-dilute, especially in the tropics. It's warmer here and the ice melts faster so you've gotta be mindful. But it's still a very fun thing to do. I'm glad you touched base on that. That was also one of the reasons behind Swizzle. It's technical. It's historical and it has the background in bar culture. It's just a fun thing to do, and it's a fun thing to watch. It's a slam dunk. What influenced the drink menu at Swizzle? Definitely the experience I’ve gathered over the years. Every time you bartend somewhere you see something work. You see ingredients put together and then you see ingredients not being used at all. If you're mindful of it, and if you’re always thinking of how to make something better, you’ll see certain patterns that work. You come across an ingredient, you come across a good brand and that flavor sticks with you. Then you come across another flavor. And obviously you delete a few things, you add a few things, but then you find that symbiosis of ingredients and that's what it’s all about. The menu came naturally. If you had to pick a drink for yourself off the Swizzle menu, what would it be? The South Beach Swizzle. It's a pisco and coconut, and the combination is just amazing. We have a bit of white cacao inside as well. It's delicious. And we top it off with some old fashion bitters to give it extra depth. It's a great swizzle.